As we are on our Life Journey we experience a relationship heartbreak. This person can be romantic, family or friend who breaks our heart. We become defensive and put up walls around ourselves and our heart. These barriers keep the love and relationships OUT that we so much want IN our life. Let go of blame, anger, and realize you had a part in things too, now you need to gain awareness of your weaknesses and build up your strengths. Also, forgive yourself. Each relationship we have: work, love, friendship, family is a learning experience. Take this experience and use it for good the next time around. Establish boundaries, yet remember… fences my friends, not walls! May your heart and your mind be healed today! Blessings! Email readings start at $20USD,visit my website for more information. Link can be found above in my Bio. ↗🔝↖ I look forward to working with you! This has been a recurring theme this month! Have you spoken with your loved one yet? When you keep emotions inside they start to fester. Just like a splinter, they create pain and build up over time, then burst forth. You may have to initiate an uncomfortable conversation with your partner which may upset them. However, this is necessary to ensure the health of your relationship. If needed schedule an appointment with the counselor to facilitate the discussion. If you communicate with your partner alone or with a neutral third-party your heart-to-heart discussions will result in personal growth for both of you! Remember you can’t control their actions only yours; be honest about how you feel and what you know. What you will and will not accept in a relationship. Tricia of FreeBirdJourneys.com✔✔ Where will your Journey take you? 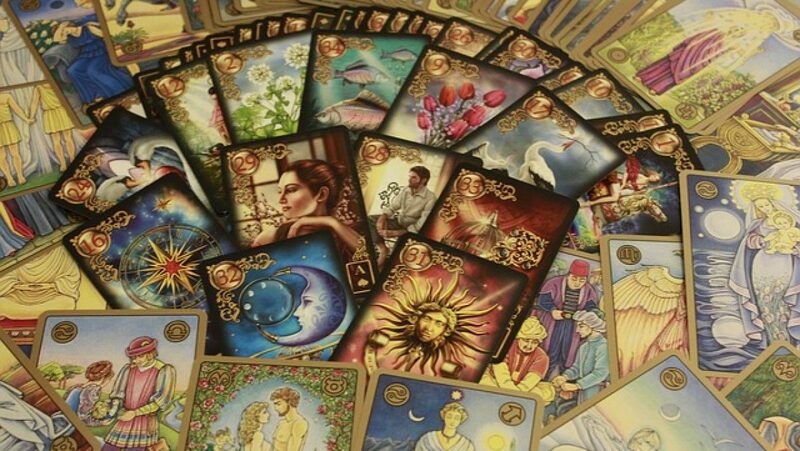 Author FreeBirdJourneysPosted on February 24, 2018 Categories Card of the Day, Oracle CardsTags acceptance, boundaries, colorado, communication, love, relationship goals, tarot card readerLeave a comment on Speak, But Listen! Do you love yourself? Are you kind to yourself? Do you think positively about yourself? The more you love who you are the greater your capacity to feel loved by others. This means trust in yourself to take care of you! It may entail becoming more assertive. Don’t worry you can still be lovable while keeping your boundaries! You may need to spend some time by yourself to heal a broken heart. When you are in relationship after relationship, you have no time to decompress and get back to square one, which is You! We have a tendency to absorb the qualities of our partners, even the not so great ones. Have you lost your grounding? You also need to take responsibility for attracting and agreeing to every relationship you’ve ever had. If they haven’t panned out in the past now is the time to go within and figure out the lessons that you’ve learned from Love. Regain your self-respect and establish your boundaries. Don’t let anybody walk all over you and you’ll find the love that you so desire. 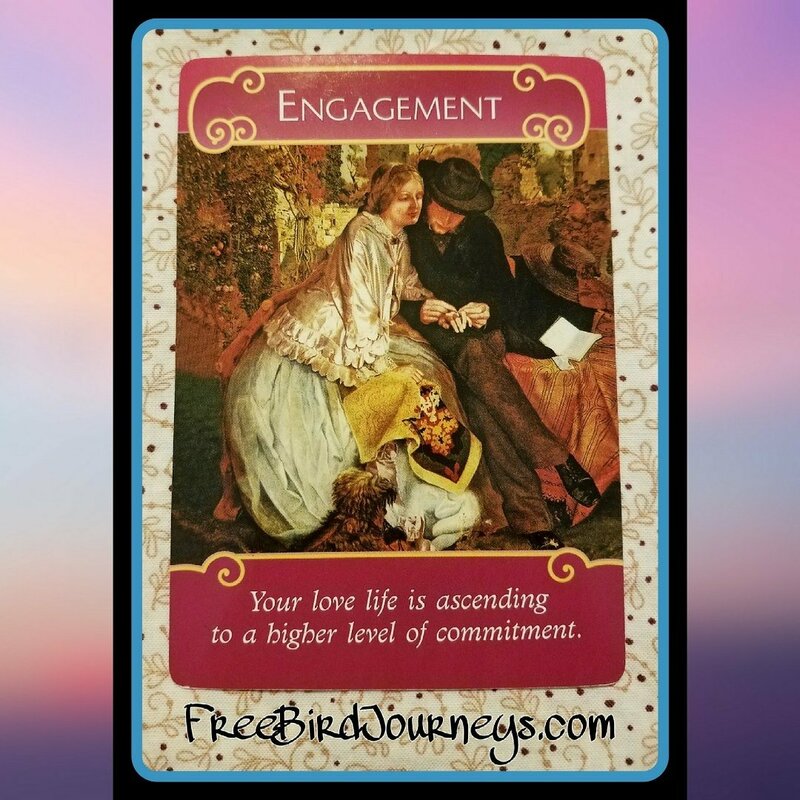 Author FreeBirdJourneysPosted on February 9, 2018 Categories Card of the Day, Oracle CardsTags authentic self, boundaries, colorado, compassion, guidance, Love Yourself, relationship goals, tarot card reader, trust1 Comment on Love Yourself First! Good News today for you single people! This card is validation of pending nuptials beginning with a romantic engagement! So, if you’ve been wondering: Is this ever going to happen?! Release any worries about whether you’ll get married, you will! A deep romantic love is on its way to you! Tricia of FreeBirdJourneys.comℹ Where will your Journey take you? Just as the Empress is the depiction of the Mother in the Tarot, the Emperor is seen as the Father. We see a man on his throne watching over his children as they play. He looks to the distance pondering his future plans. The astrological sign of Aries is apparent in the ram’s heads carved on the throne and the Emperor’s armor. Purple symbolizes royalty, his lack of weapons show his use of power, wisdom and experience to rule and keep the peace. The mountains behind him represent stability and foundation. Traditionally the Father is seen as stricter, more remote, severe, authoritarian member of the family. He also depicts the rules of society, good and bad and the power that enforces them. Think stability, foundation of a society, of a family; the father of all his people: life and death, power of rule, law and order, the opening of creative energy in which to build a family or establish leadership. In growing up we learn the rules of society that we must adhere to. We may still desire the comfort of The Empress, the mother figure who gives us comfort yet The Emperor shows us forging ahead with our own development in society. When The Emperor shows up in a reading it can represent a person of great power. The Leader of the family or that of the people, a responsible balanced person. Wise, a kind ruler and loving father figure. Carefully considering options and plans for the future , the use of power and wisdom to rule and keep the peace instead of using weaponry. The Emperor can also be yourself, your Father, boss, husband or lover. Some people treat their lover as their substitute father to whom they surrender control of their lives. Should this be your case you may need to redefine your territory, creating firm boundaries in order to maintain them unless of course, this is where you want to be? Your own role within a group whether male or female if you are the leader, peacemaker, arbitrator. Growth can turn into chaos and competition turns into conflict. Take a rational approach to issues, use less emotion and more logic. Maintain your concentration and focus, self-control. Rules, stability & structure are important to your situation. If you are in a position of leadership, do your best to make decisions. Be sure you have a good plan and structure in place, without these everything may turn to chaos and no progress will be made. You may need or crave more stability in your life. You may need to set limits on your own behavior so you can obtain your goals. Remember your own boundaries if you have trouble saying No when you need to. On the flip side you may be too structured & rigid, it’s okay to shake things up a little bit and not be so predictable.